Have $185,000 to spare? 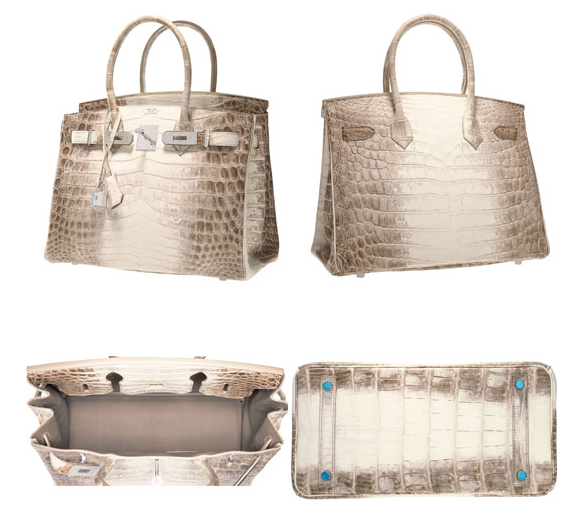 It’ll get you a 30-centimeter Hermès Birkin bag of matte Himalayan nilo crocodile, featuring 18-carat white gold hardware and 242 diamonds with a weight of 9.84 carats. Sure, your 185k could pay off your student loans or buy you a house, but why not splurge a little? Okay, so it’s not exactly pocket change, but it was to the anonymous buyer of this beautiful bag. 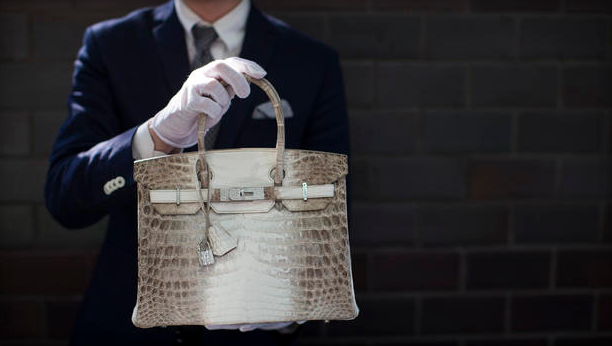 Sold through Heritage Auction in Los Angeles, this particular Birkin probably took the designer an entire year to create for their elite client, according to Kathleen Guzman, the auctioneer for the item. 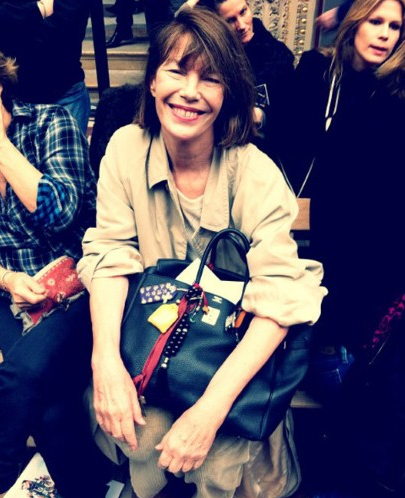 Famously named after actress Jane Birkin, the Hermès Birkin bag is one of fashion’s most highly coveted pieces. The classic piece isn’t sold to just anyone who walks into Hermès, and the company notoriously fetches high resale bids. The most expensive handbag ever sold, a diamond Birkin, went for $203,150 in 2011. 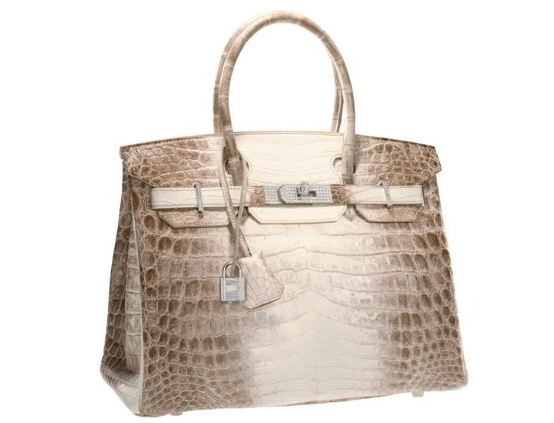 Guzman told CBS that what makes the bag special is the practically albino crocodile skin used to create the Birkin. Hermès breeds its crocodiles to have very light coloring, “ but then to search for a crocodile that has almost an albino skin is extraordinarily rare,” said Guzman. She also stated that Hermès bags are the only ones that can have resale values higher than their original price, making them a sort of investment. Any way to justify spending that much for a bag is fine by me! Another piece I wrote for Northeastern Fashion & Retail Society! I’m hoping to get some new posts on Passion & Possibility up soon, guys!